I went to Las Iguana for the first time a little while ago, and I was so impressed with the food (and drinks - who can resist 241 happy hour? ), that I really wanted to go back. When I received an email saying I could claim a free main meal for my birthday, and with The Boy and I due to spend a week while he heads off on holiday, it seemed like the perfect excuse to spend some quality time with each other. Hey, it pays to sign up to newsletters! 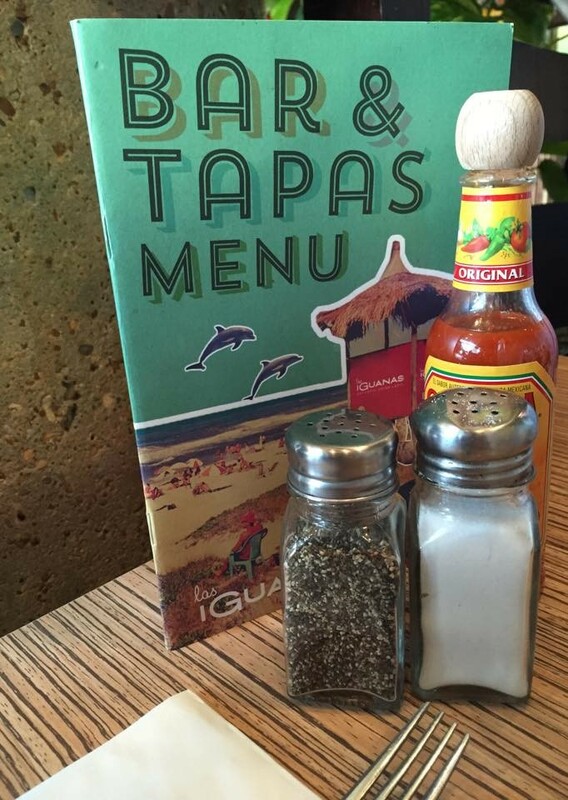 We put on our glad rags and headed over to our local Las Igaunas in Gunwharf Quays. We were seated straight away at a quaint little table for two, and got straight to the menus. Our waitress came over quickly to take our orders, and arrived back with our drinks in no time. When we realised that the syrup seemed to have gone in the lemonade - with a hefty amount of packing ahead of us, we went alcoholic free - they were only too happy to switch it and were full of apologies. On my first trip, I absolutely loved the calamari they had on offer - so it was a no brainer for me to choose the cayenne and cassava crumb Calamares for my starter (£5.70). 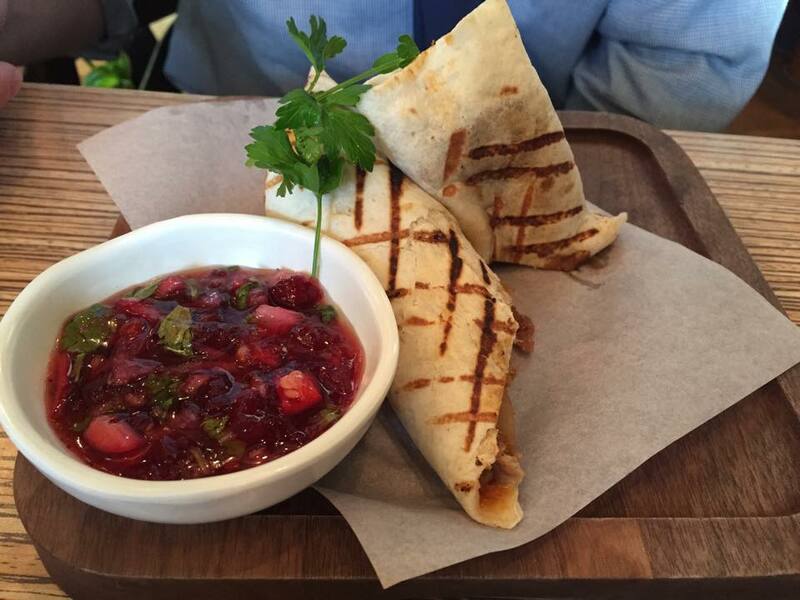 As it was my boyfriend's first time, he needed a little time to deliberate but eventually settled on the Pato Taquito (£5.70), which comprised of little tortillas filled with roasted duck and caramelised onions. We both loved our starters and definitely thought they were the best part of the meal. My boyfriend has a bit of an aversion to fish, but I was raving about the calamari so much that even he gave some a try. And he was pleasantly surprised! 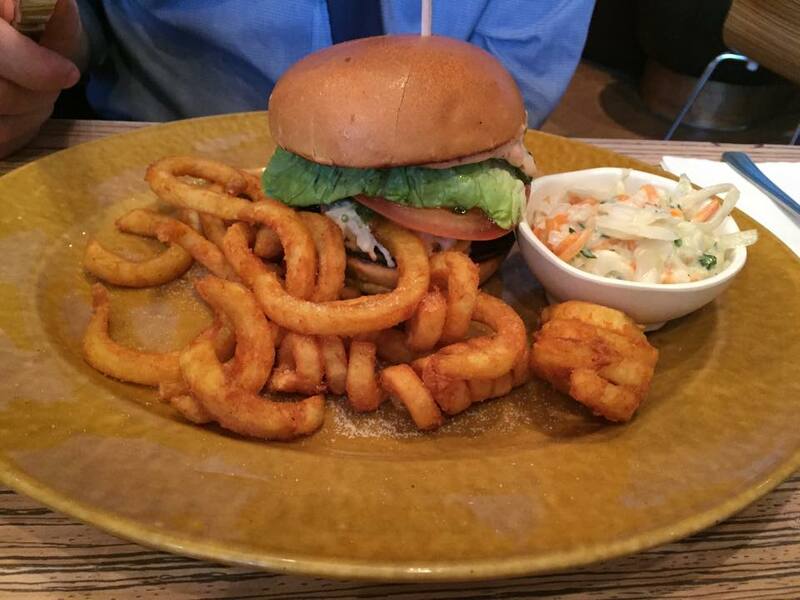 As we were dining on National Burger Day, it seemed like that was the obvious choice for our mains. I went for the Classic (£10.90); chargrilled chicken breast with cararmelised onion in what appeared to be a brioche bun - and I added some emmental cheese for good measure. I chose to have it with fries, and as there was a wide selection of dips to choose from, I ordered some garlic chipotle sauce to go with it. My burger was really delicious, and the addition of the caramelised onions really gave it a sweet little kick and I really liked their slightly rustic french fries. 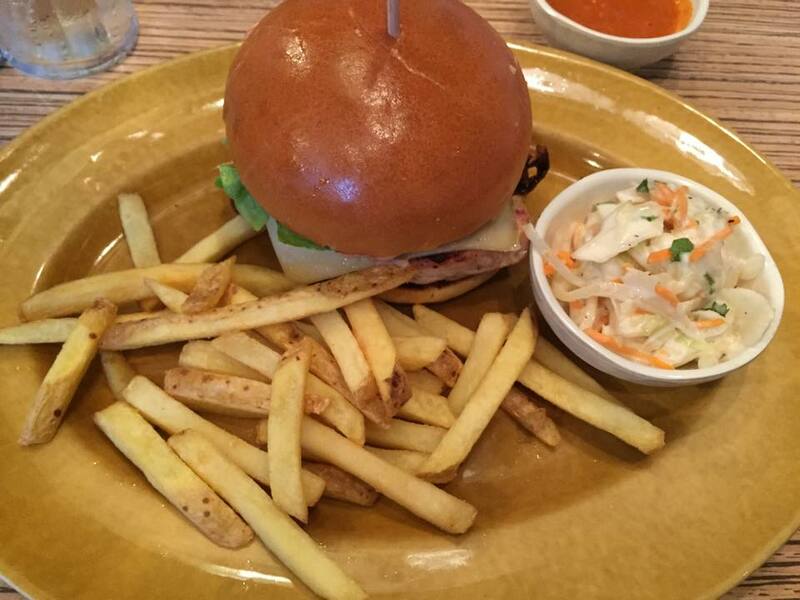 Our waitress said she'd had the chicken burger that day too - so it's obviously a popular choice! The Boy was a little more adventurous with his main, selecting The South American Dream (£10.90). His exotically named burger was made up of a beef patty which had been lightly spiced, as well as coleslaw, lettuce, tomato, a touch of gherkin sauce and some chimicurri - a herby Argentinian sauce. It was slightly different to what he would normally go for when we are eating out, but I think the risk paid off as he demolished the whole thing. The Boy can be very specific about his coleslaw, but even he was full of praise for Las Iguana's version. We skipped dessert as we had lots to do back at home, but having eyed up the menu I will definitely be sampling the sweet treats when I pop in next. 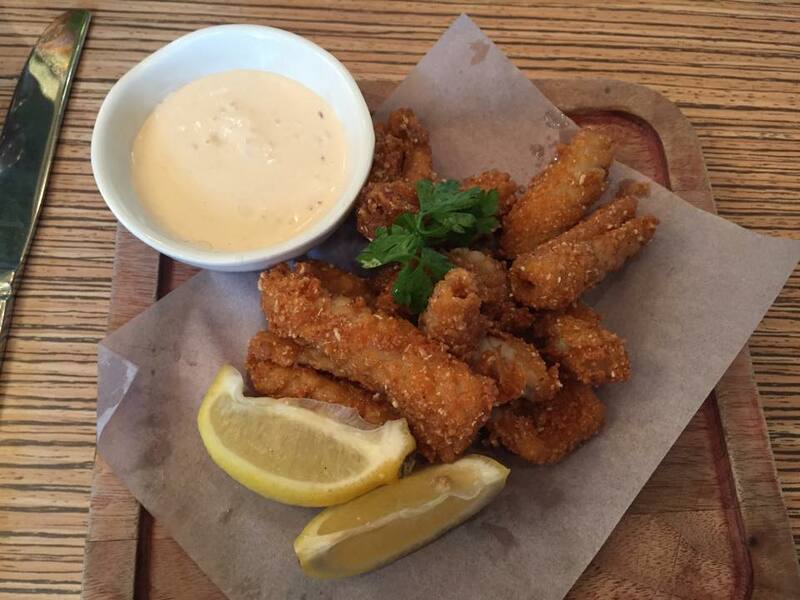 I have already tempted a couple friends with tails of the fantastic calamari and the fact they also have churros on offer - so I doubt I'll have too long to wait before returning. All in all, we really rated Las Iguanas, While we loved the food, the service was impeccable too - and that just makes the evening twice as good. When we asked for the bill, the waitress came over apologising that our meal seemed to have completely disappeared from their system! She checked through everything that we had, even adding it all up in front of us and offering us to keep the list for our own reference. We are pretty trusting, but thought it was sweet nonetheless. So, if you're looking for somewhere to dine this bank holiday which boasts top food and enthusiastic and super helpful staff (even when the restaurant is mega busy! ), I'd definitely give this place a try. When I arrived home from holiday a few weeks ago, I was thrilled to find I had received a little parcel from Boots. And it just so happens, that the product inside couldn't have arrived at a more opportune time! A little while ago, I wrote a blog post about how I was working to get my hair in tip top condition prior to my jaunt abroad. Alas, my efforts were thwarted by chlorine and the extended dips in the pool left my locks feeling just a bit straw-like. 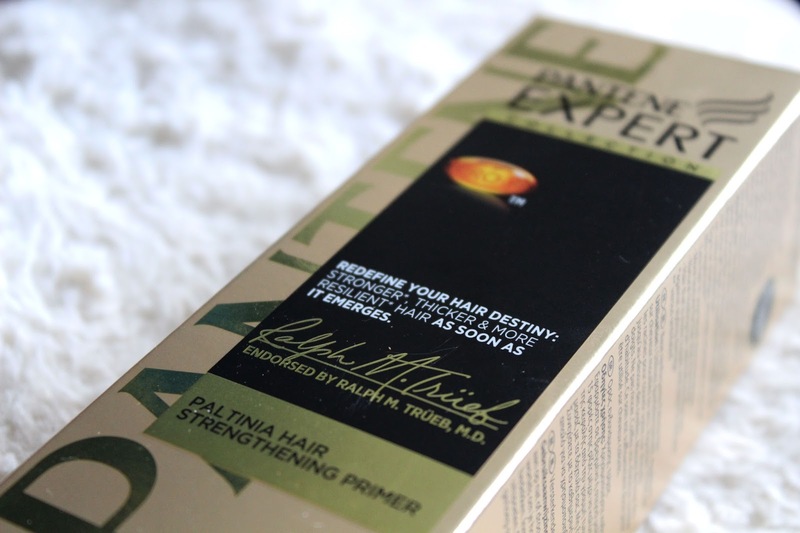 I was lucky then, to have been sent the Pantene Expert Collection Paltinia Hair Strenghtening Primer. While I'm more than familiar with face primers, hair primers are not something I had sampled before. Part of the Expert collection, the Pantene primer is formulated with caffeine, panthenol, niacinamide and pal-kt and design to strengthen not only the existing hair on your head - but your emergent hair too! The directions on the box state that you should spray about 15 pumps into your roots, covering your scalp from ear line up. Don't make the mistake I did, and not realise that there's a cap over the end of the pump! It says that you can apply to wet or dry hair; I personally chose prefer to use it when my hair is wet, and then blow dry and style my hair as usual. The first thing I noticed was that the primer has a really pleasant smell, and I was pleased that the formula wasn't sticky and blended well through the hair and dried normally. I've tried sprays before which have been quite oily, and left my hair still wet after thoroughly drying it! It is recommended that the product is used daily, but I've been using it every other day and still noticed a big difference. 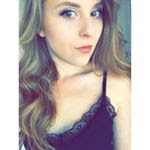 My hair gradually went from straw like to its normal silky condition, and it's really been thriving since! My hair definitely feels fuller, and perhaps a little bit thicker too. Generally, my hair feels better protected, and back to its best - if not a little better. Another claim on the box, is that using the primer should result in you finding less hair loss on your hairbrush. This is a bit of an issue for me, and I do tend to moult just about everywhere. I do think that in using this, this has reduced a little bit. As I've only been using this for about a month, ideally I'd like to review it again in about 6 months time to note if there's been any considerable difference. 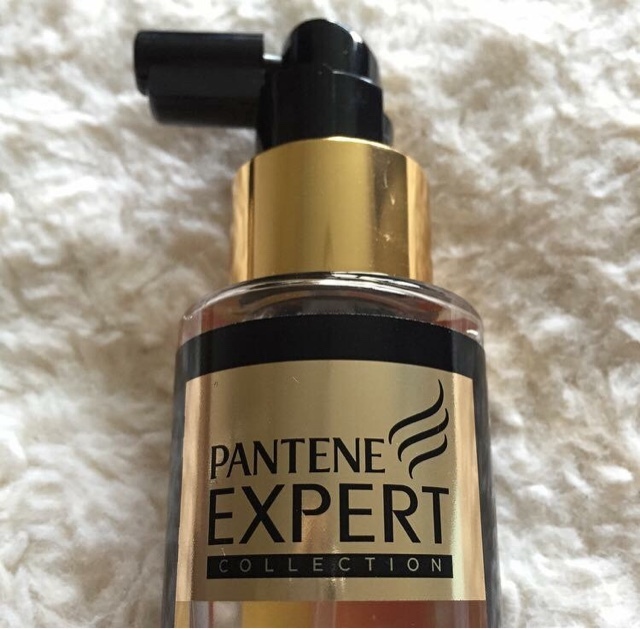 The Pantene Expert Paltinia Hair Strengthening Primer retails at £14.99 at Boots. Personally, it's a little bit more than I'd pay for this sort of product usually, but then I have been pleased with the results. I would definitely recommend this to anyone who is struggling with damaged hair and in need of a little TLC. After seeing this foundation rated highly across blogs and vlogs alike, a little while ago I thought it was time I picked it up for myself to see what all the fuss was about! The Bourjois Radiance Reveal Healthy Mix Foundation is formulated with a number of fruity ingredients to leave you with a flawless complexion. The combination of apple, melon and apricot is designed to leave skin looking youthful, hydrated and radiant. Unsurprisingly, the combination of these natural ingredients gave it a really delightful scent - which is obviously quite pleasant for something you're going to be rubbing all over your face! The foundation comes in 8 different shades, and as a true English rose, their lightest shade - aptly named 'Lightest Vanilla' - was the best fit for my skin tone. I'd describe it as having a medium coverage, which is easy to build up and the generally the formula blends very well. The packaging claims that the foundation is long lasting, and you can expect great coverage for up to 16 hours. Sadly for me, this was far from the truth. 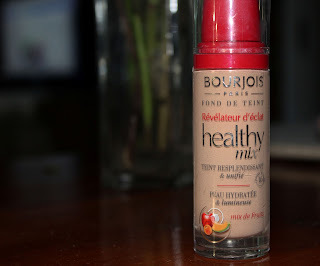 I experimented with using this on its own, with and without powder and with and without my favourite Benefit POREfessional - but generally found its longevity to be limited. While using a primer did make the foundation last a little better, it was marginal. After applying in the morning, come lunch time, the dewy coverage I'd relished earlier had all but disappeared. Having nearly come to the end of my pot of this stuff, I can certainly say I've persevered. Unfortunately, it isn't one for me and won't be making it to my repurchase list. The Healthy Mox Fiubdation retails for around £9.99 at Boots.